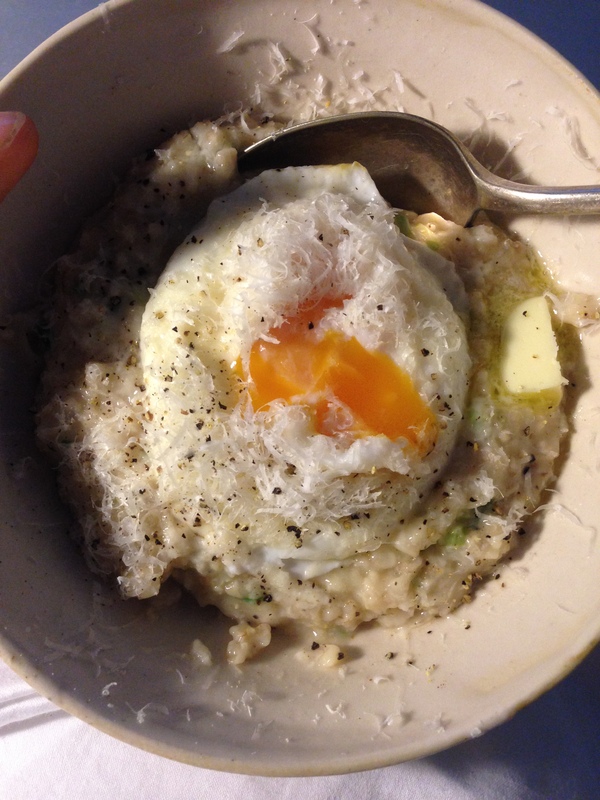 Sam made me savoury porridge for breakfast yesterday. I must admit to having been a little trepidatious before eating, but it was really delicious and I was an immediate convert. It’s made with water not milk, so it’s not over sweet.